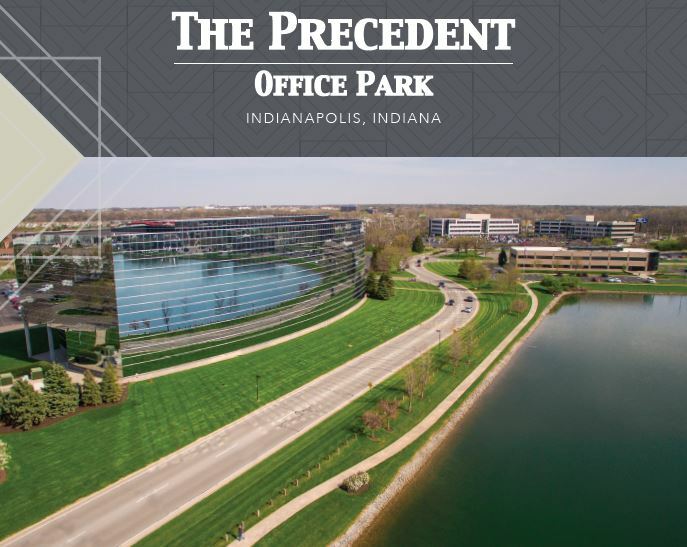 The Precedent Office Park is a 1.2 million square foot office environment located in the heart of Indianapolis’ thriving north suburban office market. Surrounding a beautiful 38 acre lake, The Precedent’s 21 buildings offer a variety of options designed to meet the needs and budget of every office tenant from the single-story flex user to the mid-rise Class A occupant. The amenity rich park includes a state-of-the-art fitness center, a national day care center, the Indiana Wesleyan University conference center, a walking trail with picnic areas around the lake, and numerous restaurants, hotels and entertainment venues within close proximity. Conveniently located adjacent to I-465 at Keystone Avenue, The Precedent Office Park truly does set the precedent in premier office space.